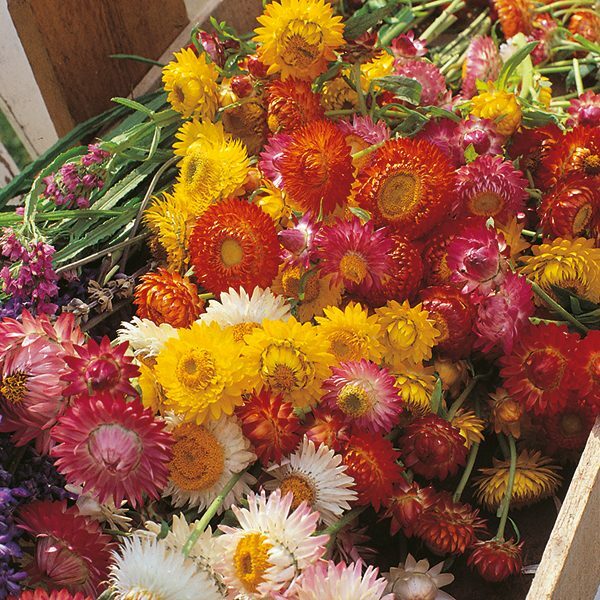 Helichrysum Monstrosum ‘Eternity Mix’ is another chap who is back in the shop after a gap of two years. Now I’ve managed to source some top quality seed stock again. These Helichrysum are a cut flower demon! Wonderful quirky colours and flowers that just last and last and last. These metallic looking beasties look like they were designed in the future by well-mannered robots and sent back to us a gift. Higg Tip: To obtain the best dried flowers, cut just before fully open, hang upside down in small bunches in a dry, well ventilated area.